For the glory of God and to proclaim the gospel of Jesus Christ, Austin Presbyterian Theological Seminary is a seminary in the Presbyterian-Reformed tradition whose mission is to educate and equip individuals for the ordained Christian ministry and other forms of Christian service and leadership; to employ its resources in the service of the church; to promote and engage in critical theological thought and research; and to be a winsome and exemplary community of God's people. At the end of the nineteenth century, two Presbyterian pastors—Dr. Robert Lewis Dabney and the Rev. Richmond Kelley Smoot—looked to the dusty expanses of the American frontier and dreamed a dream. Their Austin School of Theology operated for eleven years until it closed 1895. Austin Presbyterian Theological Seminary, founded in 1902, was the result of their vision and labor. 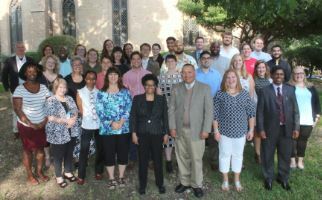 Established under the auspices of the Synod of Texas in the Presbyterian Church in the United States, Austin Seminary began its mission of educating and equipping ministers for the Southwestern United States. It wasn't long, however, before the institution blossomed and grew beyond the wildest visions of its forebears. Soon, Austin Seminary was training women and men for a variety of ministries throughout the nation and world. At the dawning of a new century, Austin Seminary stands poised on the cutting edge of church and culture. Today, our frontiers are technological, demographic, and philosophical. 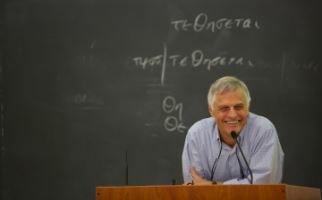 The Seminary seeks to blaze innovative and imaginative paths through each of these frontiers, without forsaking its responsibility to the Gospel of Jesus Christ and the teachings of the Reformed theological tradition. A superb faculty of scholars and teachers serve as pioneers and mentors in the faith to each new class of prospective pastors, lighting the way for the church of the twenty-first century.